StoryTime gives young children and their caregivers fun opportunities to share stories, music, and movement. This 10-week program is offered twice a year in the spring and fall. 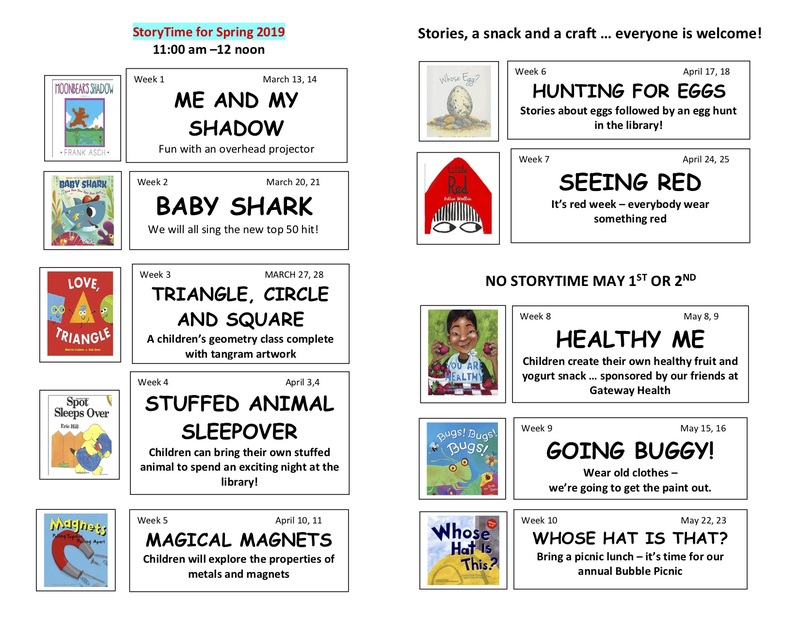 StoryTime includes stories, songs, crafts, and snacks that follow a chosen theme. Each one-hour program begins at 11:00 AM. We offer the same Storytime on Wednesday and Thursday. There are no age restrictions. However, all children must be accompanied by an adult to take part. 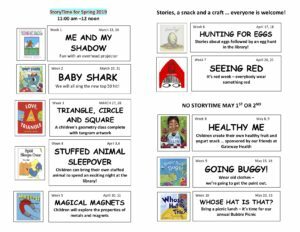 To view StoryTime activities from previous sessions, please visit our Past StoryTimes page. Help prepare young children to be readers with these five simple activities that are fun yet powerful ways to encourage early learning. Talk together. Children learn about language by listening and joining in the conversation. Talk as you play and choose books that interest your children to talk about! Sing together. Fingerplays, rhymes and songs slow down language so children can hear the different sounds that make up words. Ask a librarian to help you find familiar or new songs to sing together. Read together. Shared reading gets children ready to read. Kids who are read to are more likely to enjoy reading themselves. Write together. Encourage your children to write or draw. A first step to writing is to stimulate small motor muscle control with toys and art supplies. Play together. Children learn language by interacting with others and also with their physical surroundings. 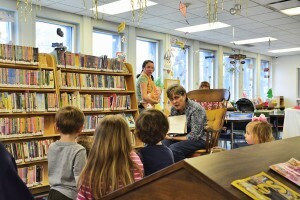 See how libraries encourage play within our spaces.